Just recently i decided to rebuild my lab setup, which sits on a physical server in my office. Unfortunately after painstakingly moving VHDs around my system to adjust disk space and rebuild arrays, i managed to format the wrong disk and lost it all! Being a lab setup i had not backed any of it up either. Not the end of the world of course, more annoyed with myself than worried about the test VMs i lost. Anyway, i noticed a thread in the TechNet forum (at least two actually) mentioning slow network performance with WIndows 10 after the latest update, and that removing the Essentials connector would remedy it. I realised i would need to install a lot of updates on my 2012 R2 system and that would most likely resolve it, sure enough, after installing around 160 updates we have a new Connector file. This new version launches correctly and installs without any issue. Hi Robert, just read what happened with your VM Lab, feel your pain. 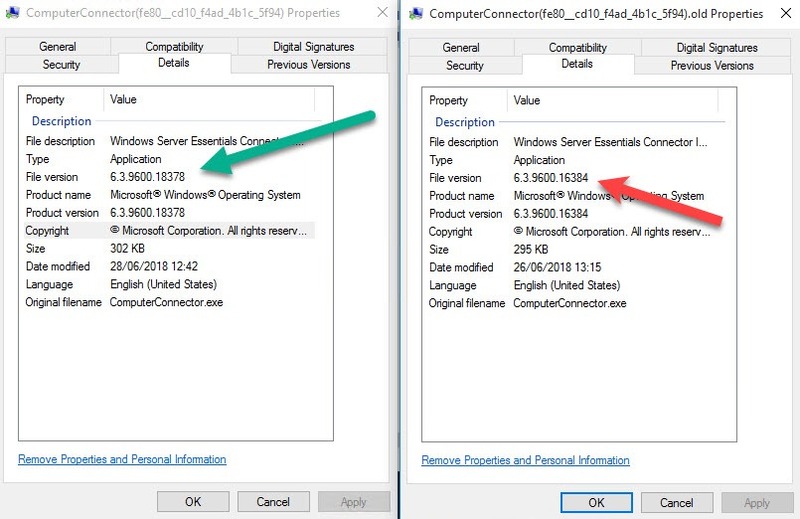 Being that Windows Server 2012 R2 Essential is 5 years old I would have ran the updates 1st before deploying the connector but glad you got it all working. I’ve finally started the upgrade process on my Windows Storage Server 2008 R2 Essential Server and moving to Windows Server 2016 Essentials. I’ll let you know how that Pans out.